Listen, here's the deal: we've been invited out to this year's Twin Cities Horror Festival (a theater fest in Minneapolis) this fall to provide embalming makeovers and death portraits in the lobby of the theater between shows. Think of us as a creepy, silly, ambient, live performance art installation.... Or sort of like those chair massage tents that set up in the park. First we'd lay you down, turn on some soothing (freaky) music, and go through the motions of "embalming" while bantering over your body. Then we give you a mini makeover, lay you in the coffin, snap a photo, sign your death certificate, and send you on your way with your souvenirs! 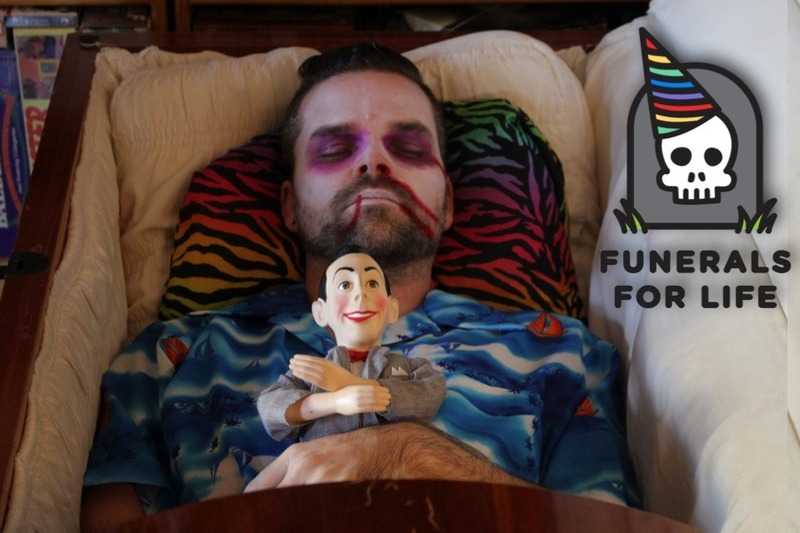 This would be an incredible opportunity for us to share our love of faking peoples' deaths, and we're so honored and excited to have been selected! The festival is two weeks long, and we'll be out there every day, ready to turn theater customers into corpses. The only catch? You guessed it - money. We've already auctioned off one of our full service funeral events in the hopes of making enough money to cover our basic costs, but alas, it wasn't nearly enough to fly us BOTH out there and back. So we're asking for your help! 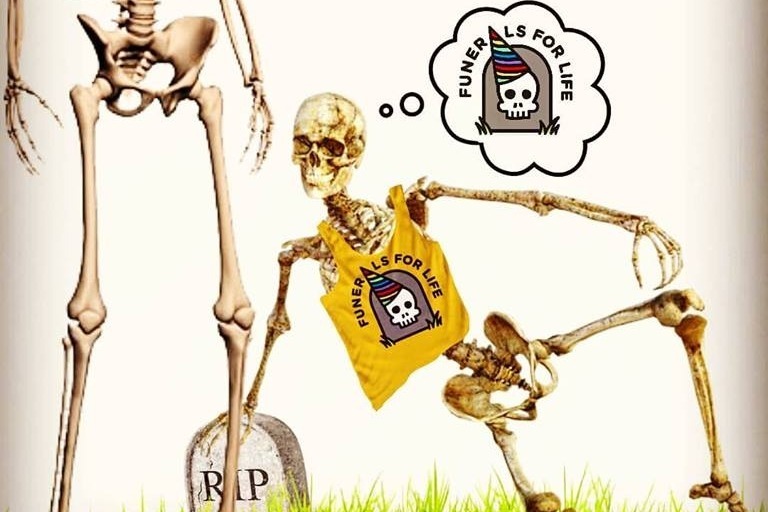 As a small funeral start up that focuses exclusively on living breathing corpses, it's been tough... Our initial costs - tools, decorations, AND A REAL CASKET have been tough to recoup, and while the services we have done have been super fun, all of them have been for drastically reduced prices (and we recently had one customer who has been dodging payment entirely). We're asking for your help to raise $500 which will pay for our flights out to Minneapolis and back, and if we play our cards right, might help us with luxurious unnecessary things like....food. Now, obviously there is a lot going on in the world right now that is way more worthy of your $ than our kitschy little funeral party business, and I'm not here to convince you to pick us over, say, feeding, freeing, or healing someone. If you have only a small amount to give, please, please funnel those funds into a humanitarian cause. BUT if you do have some dollars to spare, and want to support weird artists trying to combat the mind-numbing awfulness of it all, we'd muchly appreciate it. So thank you, from the bottoms of our clotted, unbeating hearts. Holy cow! Looks like we're really gonna do it! 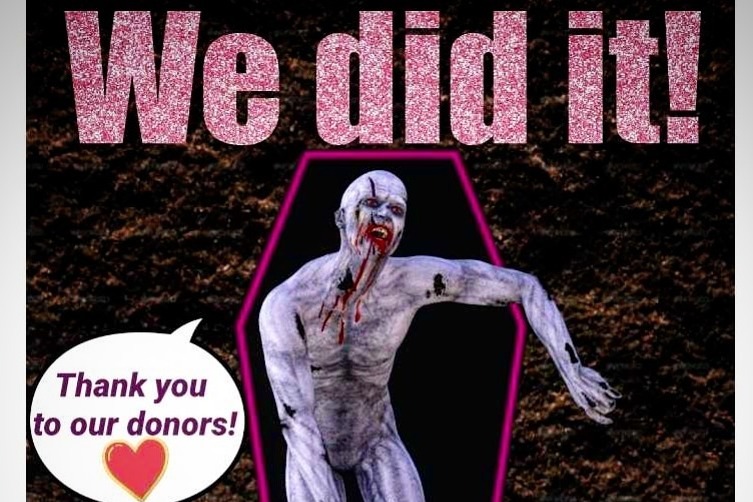 HUGE THANKS to all of our donors... Y'all are killing us with your generosity!